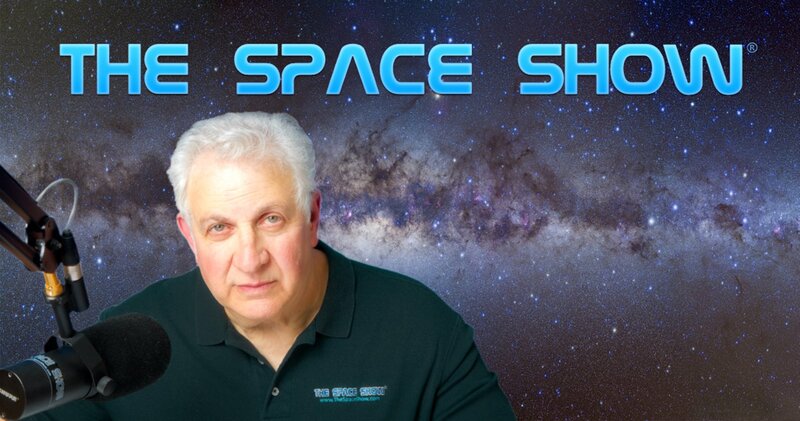 We welcomed Leonard David back to the program for one segment two hour fifteen minute discussion on many topics starting with the Lunar Gateway. Leonard spent a considerable amount of time talking about the Gateway though he said he was on the fence regarding doing the Lunar Gateway. This was certainly a wide ranging and at times complex discussion going deep into our space program over the past 50 years, where we are today, how the industry is developing, even big challenges ahead such as legal policy challenges which he discussed with caller Michael Listner. OMB, budget limitations, even significant concerns about the developing commercial industry were all put on the discussion table. One overriding theme for this entire discussion was that for both NASA and the lunar commercial industry, these groups needed to "get their act together." Listen carefully to get what Leonard was talking about when he said this early in the discussion as well as later on in our discussion. Leonard also talked about being agnostic as to either the public sector or the private sector doing something of value. Don't miss all of what he said on this subject, plus let us know your thoughts by posting them on our blog. Leonard took some time to tell us about his upcoming Moon book which is being published by National Geographic which will be out next spring . This opened the discussion to talking about the absence of a real follow on to the Apollo program and the $25 billion and 12 people that were part of that program. Leonard was wondering if it was all just a "circus act." He talked about the absence of a credible follow on policy over the last 50 years. Again, don't miss what he had to say on these issues. Leonard introduced us to the topic of the Moon having strategic implications and resources. He suggested we needed a quality national dialog about this subject but no such dialog was happening. Our guest suggested that we would probably see lots of litigation in the future over unresolved space law matters. Again, he talked about this with our caller, Michael Listner. An interesting part of the Listner discussion came about when Leonard asked why people hate the space program. He talked about talking to people who disliked the space program and what they had to say about i. I suggest you listen carefully to what Leonard shared with us. He did talk about Bezos and Musk and said that people told him Musk reminded them of Howard Hughes. Don't miss what Leonard said about this. In addition, he referenced the fact that Bezos seemed more business plan organized which Leonard liked. We took a call from the UK with author Gurbir Singh who wrote the book "The Indian Space Program: India's Incredible Journey From The Third World Towards The First." Leonard reviewed the book on his website, www.leonarddavid.com plus Gurbir will soon be a guest on The Space Show to discuss the Indian space program in detail. Leonard and Gurbir talked about the Chinese program and their going to the Moon on Dec. 7th followed by a lunar Indian mission in the January February time frame. Also discussed was the ESA Moon Village, international as compared to national space projects and going to the Moon with other nations rather than doing it alone. A subtopic of this discussion included mention of cultural divisions that mattered here on Earth. Leonard had much to say about how he thought the US viewed Russia and in particular China space activities. He also talked about their being a space race going on which the US seemed to ignore or deny and that concerned him. We did not break for a second segment but we did bring Barbara David on the line to discuss her new effort of help promote and get the word out about the many great space books being published. Don't miss Barbara's comments and let her know your suggestions or authors and books that might benefit from this service. Barbara provided her email address on air for your contact. She even quoted Dennis Wing so don't miss out learning about this space book author opportunity. Marshall called from Oklahoma to talk about engineering and the funding of pet engineering projects. After Marshall, SLS John called. He wanted to know what other programs might be available if we don't do the Gateway. He repeated his earlier message from numerous programs in that at this time the Gateway was the best the US could so. Eventually Leonard and John talked about human spaceflight safety concerns. Leonard had lots to say about space advocacy during his discussion and at time it was not that positive. Listen for his advocacy comments which were throughout our two plus hour program. One thing he said was that advocates often promote exaggerated technical claims which he believed were not helpful to the industry. Near the end of our discussion, Leonard was asked about our need for a new branch of the military known as the Space Force. His answer was a bit complicated so I urge you to listen to all of what he said on this topic and the perspectives he brought to the table to help clarify his space force position. I promise you, it will surprise you. Included in this discussion was the potential weaponization of space, the eventual probable need to protect cislunar trade routes and more. Because TSS is having the debate this coming Sunday, Dec. 9 re the Space Force with Drs. Brian Weeden and Namrata Goswami, I asked Leonard for some questions to ask them. Leonard did provide me with several questions for each of the guests which I will work into the program on Sunday, making sure they know that they came from Leonard. Leonard offered closing comments that you will want to hear. Please post your comments/questions on TSS blog for this show. You can reach Leonard and Barbara through me or his website above.